It’s possible to own fast vehicles for less than 50K, and we’ll show you them in this article. Each year, “The Texas Mile”, a three-day racing event that takes place on an airport runway, attracts hundreds of amateur races from all over the country. The rules are simple: drivers race their vehicles on a 1-mile strip, and whoever makes it to the finish line first is the winner. As you might have already guessed, only those with extremely fast sports vehicles typically ever take home the gold (as evident by the fact that the recent winner was a 2008 Lamborghini Gallardo Superleggera which reached a top speed of 250 miles per hour). Unfortunately, a vehicle like that can easily cost more than $250,000. So, where does this leave the rest of us? If regular, everyday drivers want something fast, but can’t afford something as nice as a Lamborghini, what options do they have? To address this issue, we’ve compiled a list of some of the fastest vehicles priced under $50,000. Now you’ll be able to feel the rush of a powerful sports car without spending the hefty investment associated with it. The 5G-Tronic is a five-speed automatic transmission built and designed by Mercedes (Diamler AG). It is designed for longitudinal use and includes a lockup torque converter. It is built to withstand an incredible 800 lb./ft. of torque, which is unbelievably strong. The 5G-Tronic was first put into use in 1996 and still remains in use today. It was available as an option in many Mercedes vehicles, including the W140, the W221, the B-Class, the AMG W463, and both the Maybach 57 and 62 models. It was also available in the 12 cylinder C215. 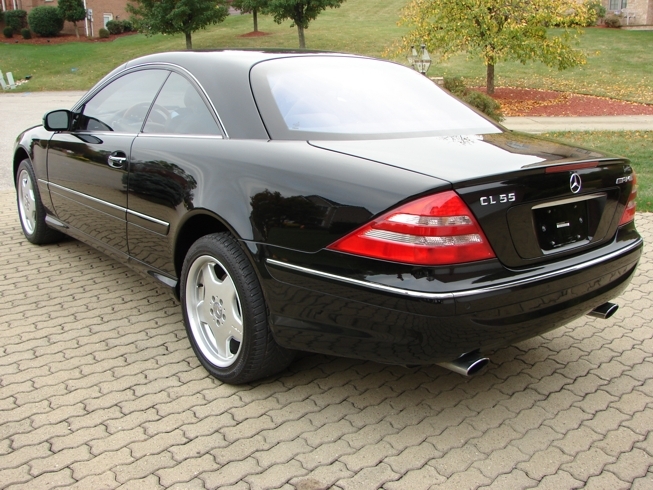 The CL55 AMG came with the 5G-Tronic automatic transmission. The 4HP24 is a four speed automatic transmission made by ZF Friedrichshafen AG. It was first put into use in 1987, and remained in use through the 2004 model year. ZF Friedrichshafen AG is mostly known for building transmissions for BMW vehicles, and this transmission was used in the 750i, the 850Ci and the 850i. In addition, it was also used in the Jaguar XJS, the Range Rover (V8 model) and the Land Rover Discovery (V8 model). The 5HP30 is a popular five speed automatic transmission made by ZF Frieddrichshafen AG. It first went into production in 1992 and remained so through the end of the 2003 model year. It is a fairly heavy duty transmission with a maximum input torque rating of 560 Nm. This transmission was used primarily in BMW products, including the 540i, the 740i, the 840i and the 850Ci. It also found limited use in the Rolls Royce Silver Seraph, the Bently Arnage and the Aston Martin DB7. Care should be taken when replacing this transmission as some models use unique bell housing with different bolt patterns. The 5HP24 is a five speed automatic transmission made by ZF Getriebe GmbH Saarbruecken. It was designed for rear wheel drive applications and shares many parts with the 5HP24A which was developed for front wheel drive vehicles. The 5HP24 was first put into production in 1996 and remains in production today. The 5HP24 is used dominantly in BMW vehicles, including the 740i, the 730d, the 840Ci, the 540, the X5 and the very limited production Z8. In addition to being used by BMW, the transmission can also be found in the Jaguar XK8, XJ8 and XJ, along with the 2003 – 2005 Land Rover.